I want to thank the good folks at Politico for this cartoon. This is the best explanation of Schadenfreude that I've ever seen. 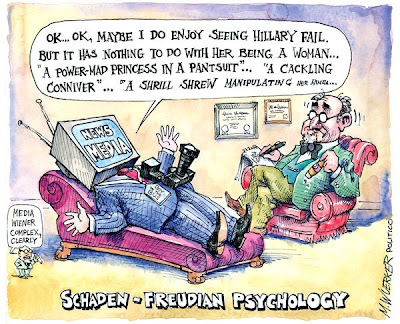 As a shrink myself, I hope I'm not kicked out of the APA for saying that my favorite Freud brother has always been Schaden.